As usual, when the deadline was approaching very fast I decided to enter yet another challenge. This time it's the December challenge of 13arts. This is a small mixed media piece. For the base I used a glossy photo paper (10 x 15 cm). I bought the stencil second hand so I don't know who manufactured it. For the modeling paste I decided to use 13arts' white gesso. 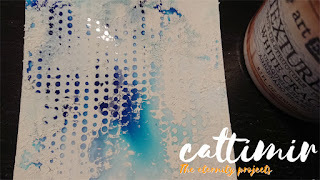 The jar is almost empty and the last of the gesso had thickened, so it was perfect for stenciling. I actually started on an other photo paper. I did some dotted stenciling and then "cleaned" the stencil onto a new photo paper. 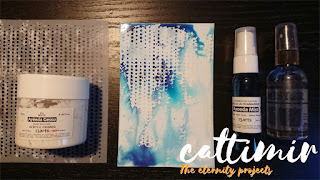 I did the so called reverse stenciling, which means that I flipped the stencil face side down to the new photo paper, put another paper over it and then pressed with my hand to transfer the excess acrylic primer to the photo paper. I liked this one more than the first one so I continued working with this. 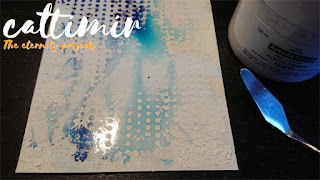 After the reverse stenciling had dried, I sprayed water over the paper and added here and there the chalk ultramarine Ayeeda mist. Repeated a couple of times and wiped off excess moisture. 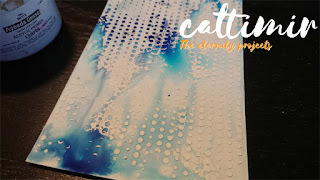 When the paper had dried I decided to add more dots to the other corner. 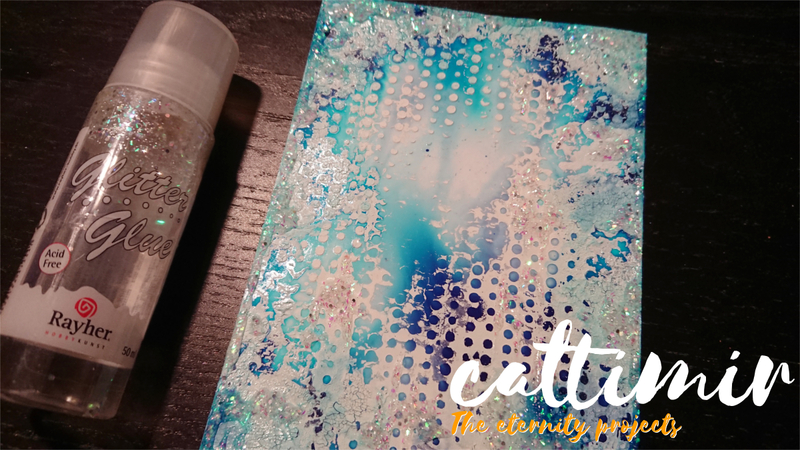 I used the same stencil but added the thickened gesso the "normal" way. I like that contrast look that the stenciling and reverse stenciling make. Then it was time to give more texture. I took my smallest palette knife and with the tip of it I took a bit of gesso. Wiped it to the edges and spread it unevenly with some tapping motions. That is a new jar of gesso. So it was more liquidy than the other one. 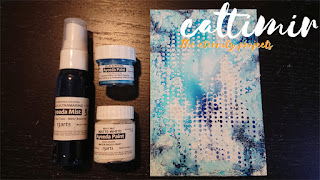 I used the same palette knife to apply Finnabair's white crackle texture paste. 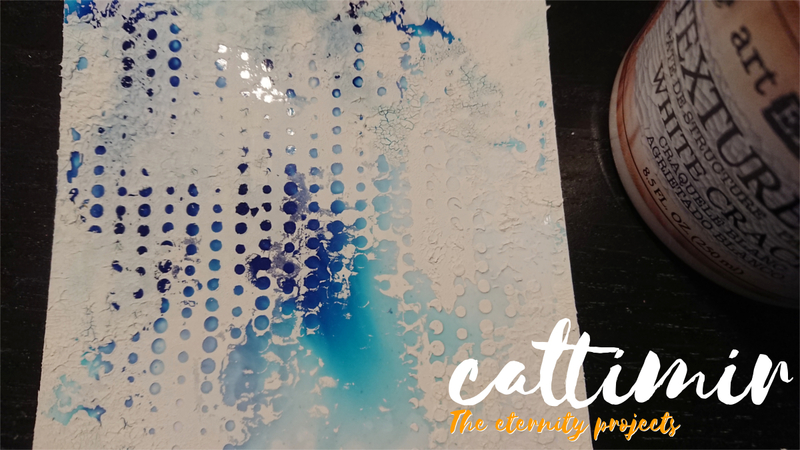 I put it mostly to the edges on top of the gesso because I had noticed that the crackle paste flakes off the glossy surface when it had dried. 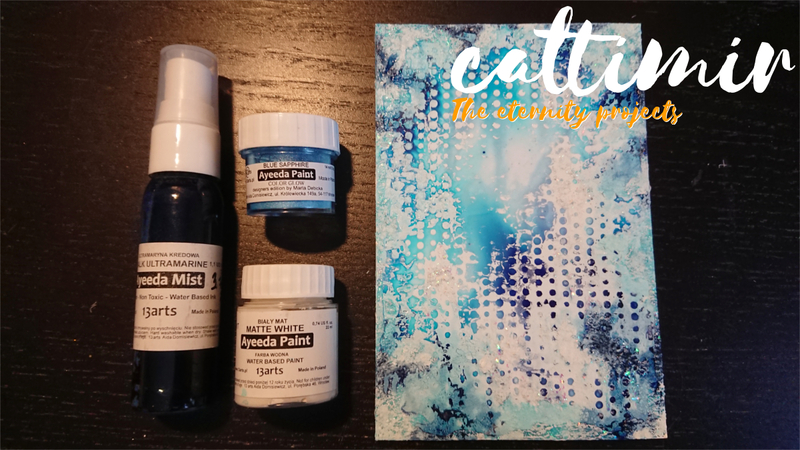 For more coloring I chose the same chalk ultramarine mist and for the second color I made a color puddle from the blue sapphire Ayeeda paint powder. 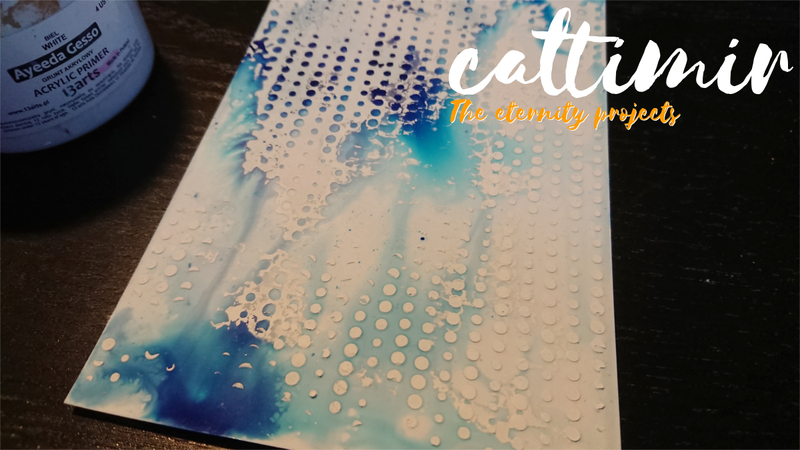 I sprayed water to make the colors flow nicely. 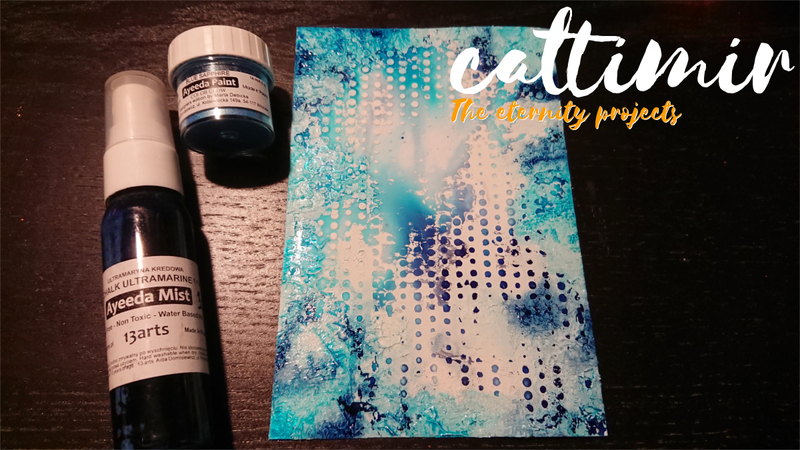 The photo paper absorbs the color differently than a watercolor paper, so I had to be careful not to let the dark blue color to spread too much. 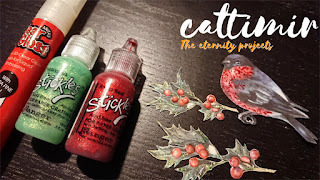 One of the important ingredients is the glitter glue. It gave the background a glacier look. I put glitter glue all the way around the edges and some more here and there. I let the photo paper dry over night. In the morning I noticed that the edges had curled so that the paper had a cup form. It didn't look too bad and it was luckily easy to fix. I heated the edges with the heat tool and then stretched them a bit. I cut a piece of cardboard to glue it behind the paper. I let it dry under some weight. It became nice and flat. Obviously I got carried away and put too much glitter glue. So I had to tone it down with 13arts' matte white acrylic paint. When that had dried, I added some color to it. I did add some more Rayher's glitter glue to the edges but only a little. Next it was time to move to the decorations. 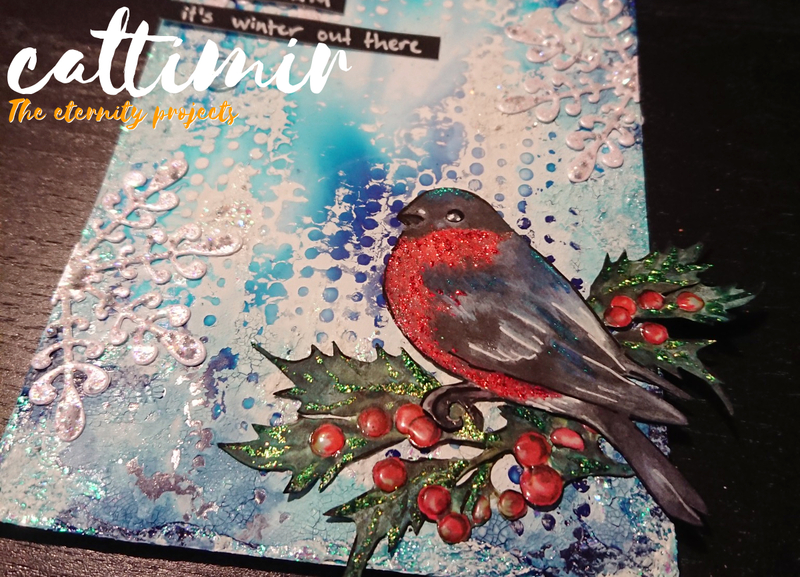 I chose this bird and the berry branches from the Fabrika decoru paper set "The spirit of Christmas". 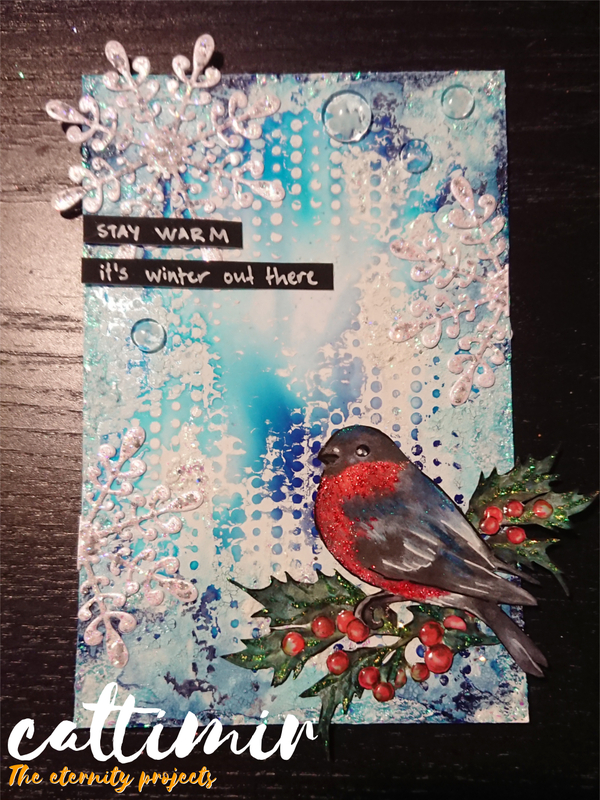 I put the 3d clear gloss on top of the berries and the bird's eye, beak and legs. 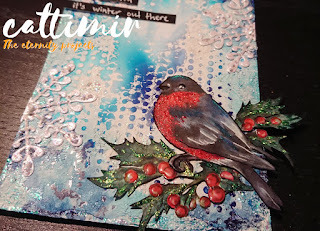 I used the red glitter glue for the birds chest and the green one for the foliage. The glitter glue wasn't enough so I added more colors to the bird and the branches. I started with the black soot Distress ink. I used a cotton swab to apply it to the edges. For the bird I used the chalk white and chalk indigo Ayeeda mists and for the branches chalk indigo and chalk celadon mists. I also used the markers for the bird. After glueing it to the background, I also used a black Posca marker. 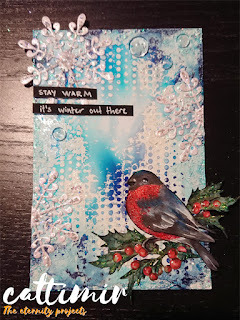 Oh, and I also used a red Wink of Stella glitter marker on the bird's red belly. 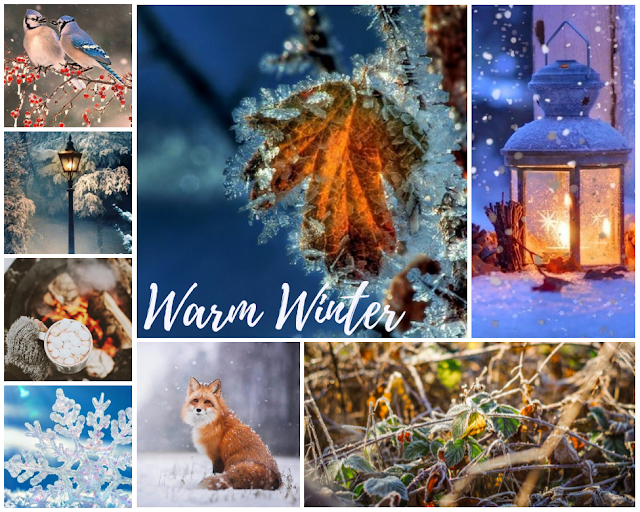 The background required some snowflakes. 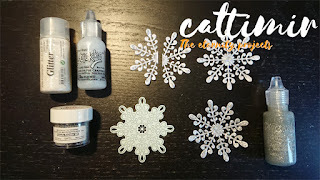 So I diecut two (four actually) flakes using the Joy crafts die. 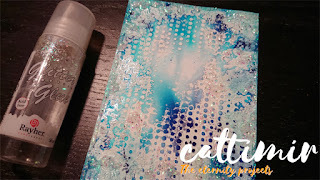 At first I used the silver glitter glue but the flakes didn't look so nice on the background. They blended in too well. 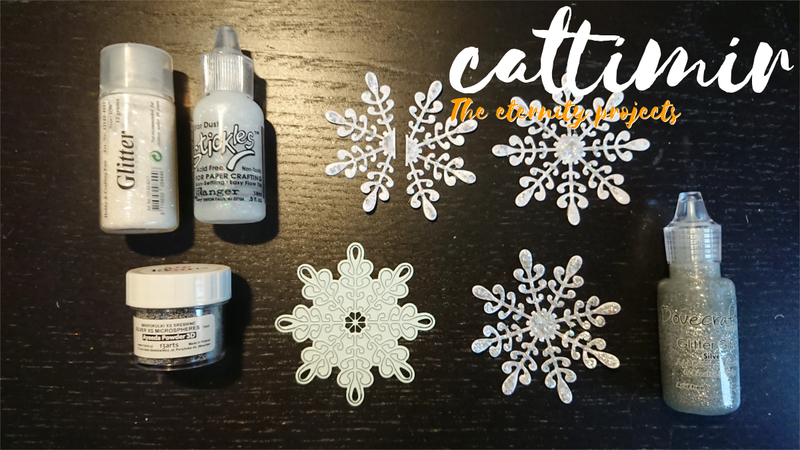 So I made a new set with the star dust glitter glue. 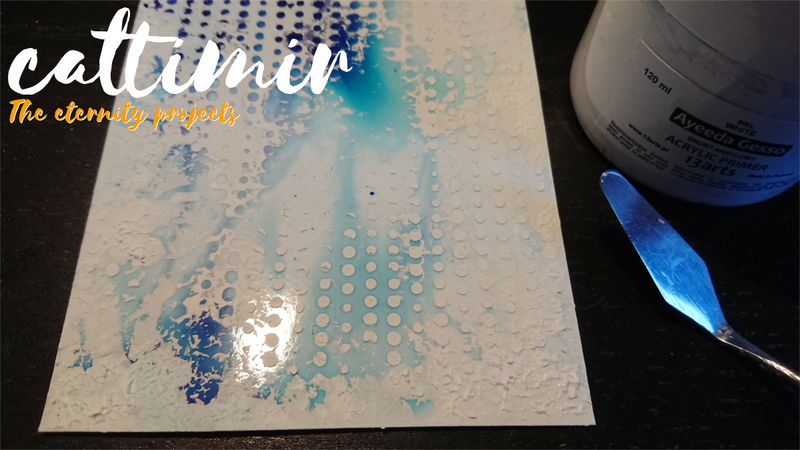 On the wet glue surface I dropped some 13arts' silver colored xs sized microspheres. The silver flakes had more microspheres. I glued the bird down too hasty. The dark blue dots came too close to the face. That is one reason why I tried to emphasize the beak and rest of the bird with a black Posca marker. Below is the mood board graphic for the challenge and here is the link to that 13arts' challenge page. That fox looks so cute. At first I thought I would use a fox as focal point. Beautiful!!! Thank you for joining us at the 13@rts challenge! So creative! Thank you for your creativity at 13arts!